A Website with ALL Apple Recipes! Welcome! 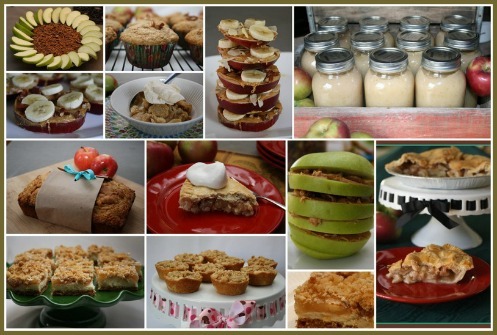 This Recipe Collection will provide you with all the best apple recipes you need to make easy apple pies, crumbles, crisps, muffins, breads, cakes, apple dessert recipe ideas, applesauce, salads, smoothies, and much more! Your family and friends will ♥LOVE♥ your apple creations, and these recipes will keep them asking for seconds! Most of the apple recipes on this site include pictures, because I know that it is much easier to follow a recipe when you can see what it is actually supposed to look like! I live in a rural town that is surrounded by apple orchards, and I take full advantage of this by purchasing bushels full of fresh apples from local farms. Coming home, I can hardly wait to begin the seasonal routine of making applesauce, pies, crumbles, crisps, muffins, and everything apple! Also included are tips for baking and cooking with apples, instructions for making applesauce, information regarding the nutritional value and health benefits of apples, and more! 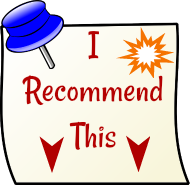 The recipes included in this site are easy to make, and use common recipe ingredients. Anyone can make these delicious, easy to follow recipes. The hard part will be deciding which recipe to select! Not only do recipes with apples taste scrumptious, but they are a good idea to use for cooking and baking because apples are nutritious too. Including apples in your diet is a good idea. Of course eating this delicious fruit fresh is the best! Perhaps you are searching for general information about apples (did you know that there are over 7500 varieties of apples in the world?! ), all kinds of apple related information and tips are included at this site as well ... including fun apple facts for kids! Do you want to include apple slices in a lunch, on a fruit tray with dip, or in a salad, but you are worried about the the fruit turning brown? Use the navigation bars at the left side of this website (or scroll to the bottom for mobile users) and check out the How To and Tips Section for simple tips, such as how to help prevent apples from turning brown. Be sure to try the best apple dip in the world ... apple caramel cream cheese dip with skor bar ... simply scrumptious and very easy to make! Did you know that you can freeze apples for up to a year ... and they stay nice and white? Wondering what type of apple is best to use for your particular baking or cooking needs? It's all here! 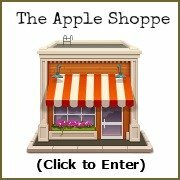 Enjoy your visit, I am sure you will find delectable apple recipes here to inspire you to get baking and cooking with apples! Please subscribe to Our RSS Feed. It keeps you totally up to date on all newly added recipes, (recipes with pictures), baking and cooking tips, and everything apple related! The Apple Blog keeps you informed of any changes or additions to Best-Easy-Apple-Recipes.com website. New recipes and tips are always being added. Subscribe with an RSS Feed or visit now, and check out what's new!